adapt the style by choosing the buttons you like. 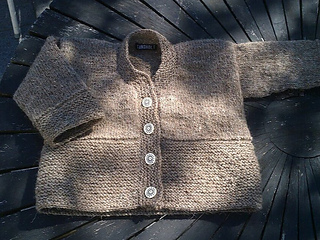 The jacket is inspired by the traditional sweaters from the Faroe Islands of wich Mykines is the westernmost. The isolated island has been inhabited since about year 650, well before the start of the Viking Age. Today, Mykines is best known for its amazing birdlife. I visited Mykines a long time ago, newly engaged to the love of my life. It was just like entering a dream world. I hope I will be able to go back some time.